Adorable! 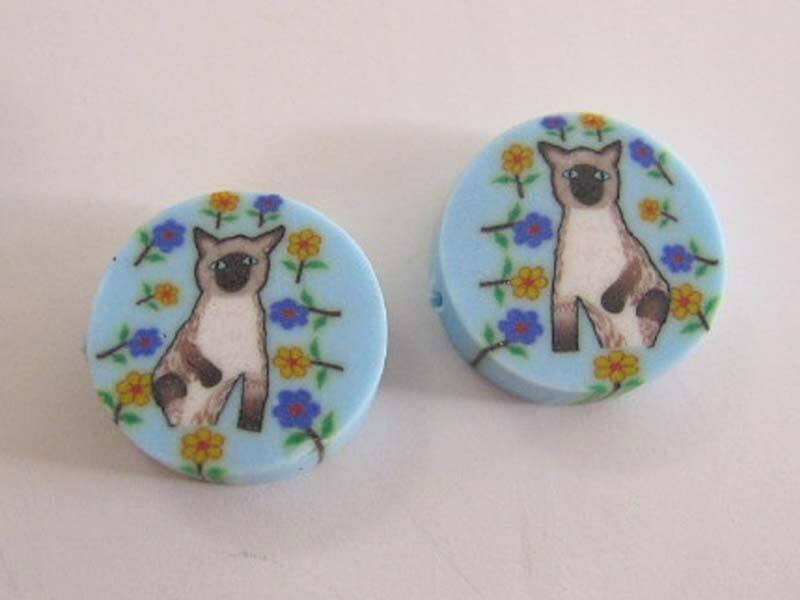 10 fimo Siamese cat beads surrounded by flowers. Bead is the same on both sides, with a light blue background. Hole runs from side to side (horizontal) and is 15mm. Always one of my favorite stores! Always changing inventory of lovely beads at reasonable prices. And most definitely the cutest cat in a profile picture! I have to admit, as a cat lover, it's a real hook!